Here at Roadfly, we get the opportunity to test dozens of products from waxes to engine test equipment to fuel and oil additives that promise to protect your engine and keep internals clean. Most of the tested products deliver as promised, while a few leave you wondering how long they can boast about ridiculous promises, mostly related to super improvements in miles per gallon. Tires are a wholly different story. Stick with reputable manufacturers, and tires are essentially the same, right? What is at stake is reputation and repeat business. Buy a new car, and 30,000 miles later you’ll probably be due a new set. If you live in the northern part of the U.S., then excellent snow traction is important to you when shopping for new tires. Rainy Seattle Washington? You want tires that channel water well to reduce hydroplaning, which almost always leads to a loss of driver control. Deep south? You want tires that excel in dry weather traction. By now you get the picture. There are many tires that do a good job at specific things, and very few that work well in all weather scenarios. Why is this? Because it’s very difficult to develop a rubber and tread compound that will stay compliant and quiet in dry weather, yet chew up snow when the white stuff threatens to turn you into a stranded movie watcher at home. Head on over to your local Goodyear Tire Store and mount a set of Goodyear Assurance WeatherReady tires on your favorite vehicle. 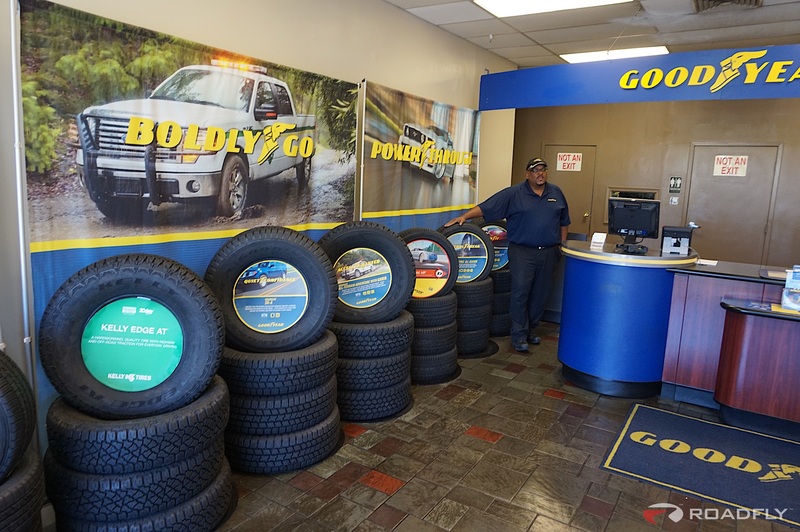 We were lucky that as we prepared to start working on our Volvo Project car, Goodyear offered Roadfly a set of WeatherReady tires for evaluation. We drive on many sets of tires each year, and we like these tires for low cost, excellent construction, aggressive yet quiet tread compound and high technology. Yes, high technology, one of the key weapons in the aforementioned tire war. No, manufacturers don’t just squeeze hot rubber into a large donut mold and out pops a tire. There are specialized tread compounds to enhance tire life, special belts in the tread and sidewall to improve strength against puncture and blowout, and even soybean oil in the tires should you want to toss them in the frying pan. Just kidding about the frying pan, but Goodyear does use soybean oil in the tread of the Assurance WeatherReady to keep the tread pliable and help the tire grip the road in cold temperatures. Other key WeatherReady technologies include Weather Reactive Technology, that combines “Evolving Traction Grooves” with “Tredlock Technology“, allowing the tread to lock together while cornering and open for more biting edges when you need enhanced wet traction. 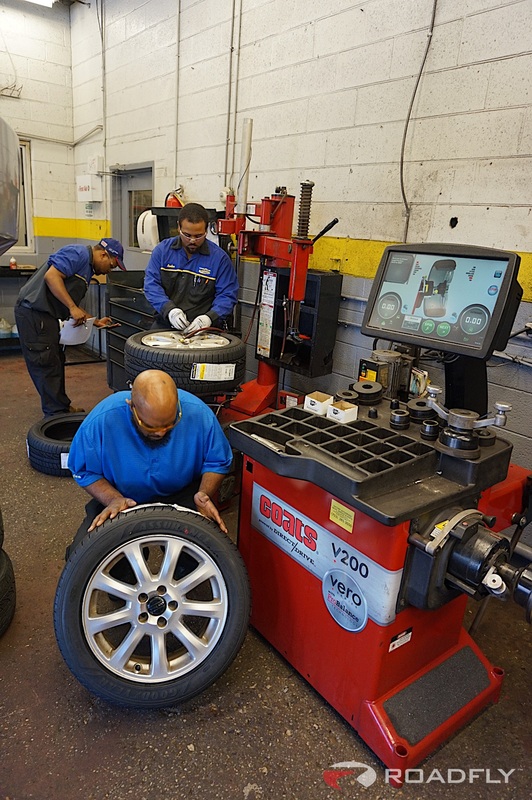 These tires have even earned Severe Snow Certification, negating the need in Northern climates to switch to dedicated snow tires during harsh winter months. 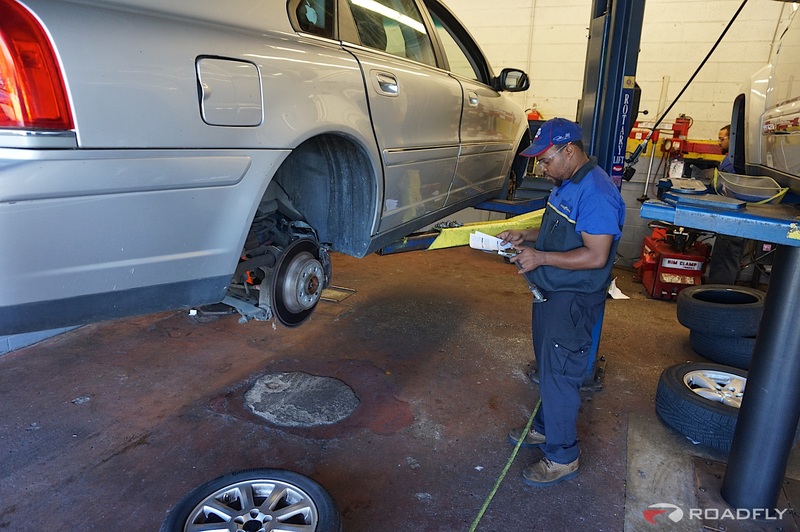 So we saddled up our 2004 Volvo S80 AWD, and headed to the Capitol Heights Maryland Goodyear Auto Service Store. There, we were met by Manager Larry Butler and his, talented, professional, courteous crew. 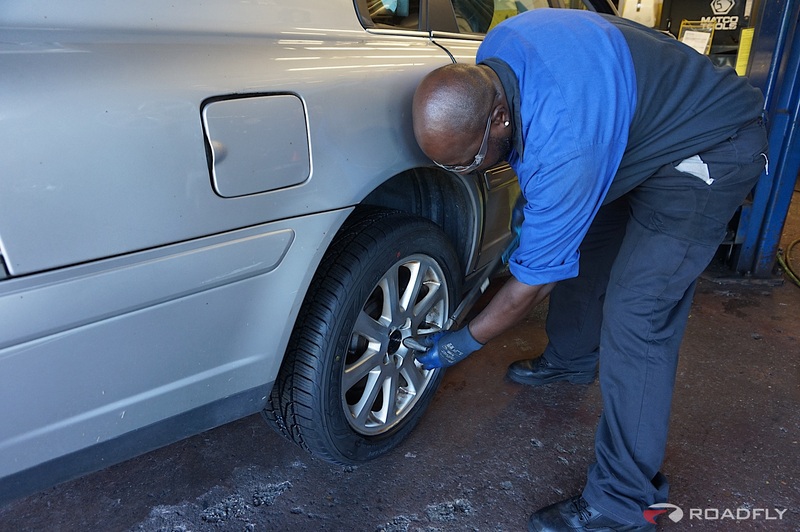 Like a NASCAR pit stop team, they had the Volvo on the lift, two old tires off and headed to the recycler, and mounted and balanced the new set of Assurance WeatherReady tires in just over 30 minutes. The other two tires that were in good shape were placed in plastic bags and stored in the Volvo’s trunk.